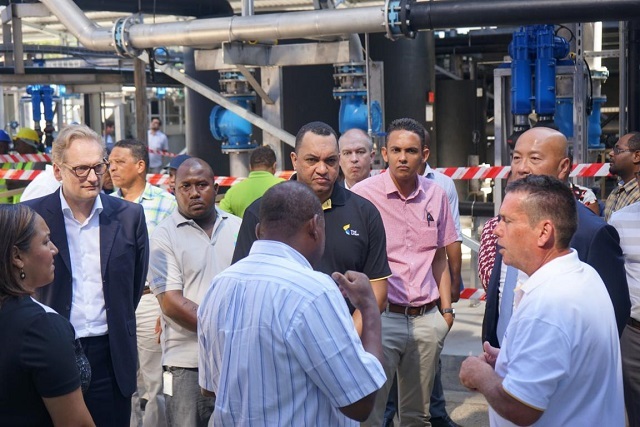 (Seychelles News Agency) - The Indian Ocean Tuna factory (IOT) is this week implementing plans to produce less and better quality waste by starting operations in its newly built wastewater treatment plant. “We will start operating the plant this week, taking waste water from IOT. Before that, we were doing some final tests but the plant was not operating,” said Mark Benoiton, the Environment Health and Safety Manager at the factory. 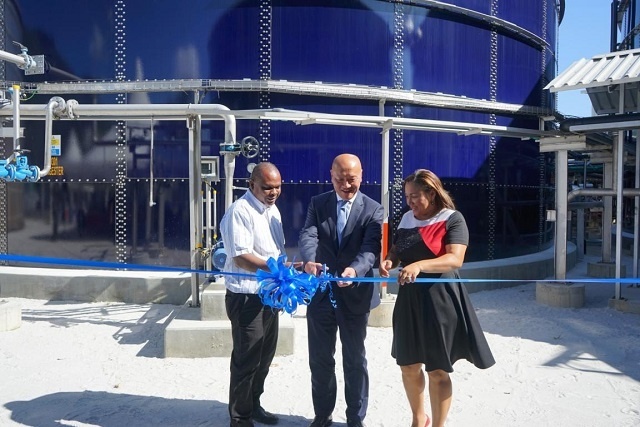 Officially opened on March 26 by the chief executive of Thai Union, Thiraphong Chansiri, the plant will help the tuna canning factory reduce the amount of waste being sent to the landfill by 20 to 25 percent. Thai Union has been investing in the Indian Ocean Tuna factory - the only canning factory in Seychelles- since 2010. “We expect to take 100 percent of the wastewater from IOT by end of June/beginning of July. During this stage, the bacteria will be adapting, developing, growing and multiplying to the level we need it to be,” said Benoiton. A project worth over $9.8 million, the tanks within the plants is made out of steel with a special glass coating, protected from the highly corrosive wastewater. 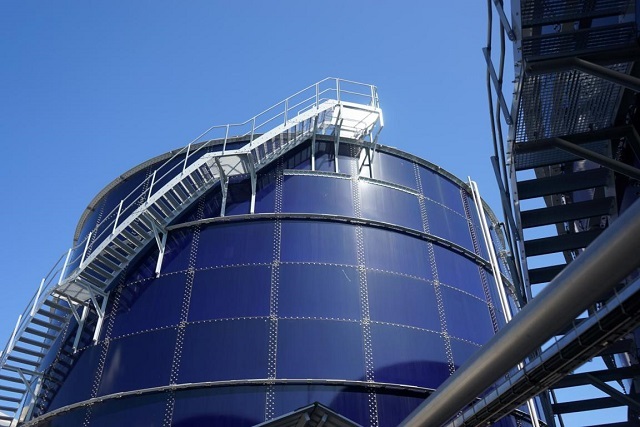 It was built by Global Water Engineering, a group of companies specialized in industrial wastewater treatment, water recycling, digestion of Biomass, sludge and slurries, biogas production and reuse, and carbon credits. The byproducts of the treatment plant will be water, which will be released into the sea, and sludge, to be sent to the landfill in a dried form. Sludge is a thick, muddy residue produced during the factory’s operations. The sludge will undergo two procedures. During the first one, bacteria will feed off oxygen and protein in the wastewater. Processing will then continue in a digester, where the bacteria in the remaining waste will be broken down. “Breaking down the bacteria inside sludge will eliminate any smells and the problem that we are having today with the sludge going to the landfill,” said Benoiton. The sludge is sent to the landfill today is still active, meaning that it is undergoing decomposition, emitting a foul smell as a result. Once the operation starts in the plant, the sludge ending up on the landfill will be dead, dry and in pellet form. Officials of the company are looking at the possibility of adding value to the deactivated sludge to be used as fertilizer. Benoiton said that more research needs to be carried out to determine the amount of chemical left on the sludge. The canning factory – located at the New Port in Victoria, the capital city - produces between 15 to 18 tons of sludge per day.